Will There Be an Audiobook for “The Untold Tale”? A few people have asked whether there will be an audio-book version of “The Untold Tale”. My publisher is small and independent. They don’t have the means or the capitol to produce an audio book. However, I still control the rights to an audiobook, which means it’s possible that there will be one in the future. And that depends on readership demand. So, what can you do to help “The Untold Tale” get an audio version? Well, the best way to do that is to get Audible’s attention. First, buy the book. Especially pre-order the book via Amazon or buy it on released day on December 8th. If everyone buys the book on day #1, the book will shoot up the charts on Amazon, which is affiliated with Audible. Secondly, review the book on GoodReads and Amazon. And ask everyone you know who reads the book to review it as well. It can be as simple as clicking on the stars, or a long, thoughtful review that’s a thousand words. Most reviews are about a paragraph, or the size of your standard Facebook update. 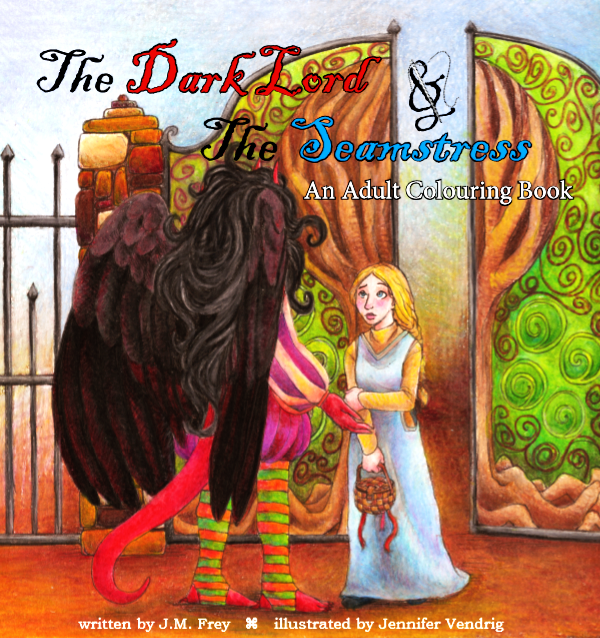 In the meantime, enjoy the free audiobook of The Dark Lord and The Seamstress, the only book I have in audio currently. And hopefully I’ll be announcing an audiobook deal sooner rather than later! And even if you don’t win a copy of the book, you can still read the first nine pages on Pinterest and enter the coloring contest! Or, the book really sounds like your bag, you can head straight over to Amazon and pick up your own copy now.